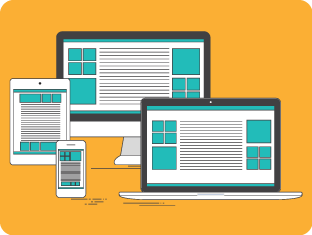 Why do we need responsive design? According to Pew Research Study, as of July 2015, 68% of American adults have a smart phone, 45% of adults own a tablet, and 73% of adults own either a desktop or a laptop computer. Since these most of these devices are portable, people are beginning to spend more and more time on them. As a result, they are consuming more content than ever before. Your website should cater to all devices, as a user usually decides whether or not they want to stay on a web page within 3 seconds. The second they see your website is not optimized for mobile, they will more than likely leave. Just like technology, our design tastes have evolved over time. Think of a smartphone – what are the key attributes of its appeal? Sleek, intuitive, functional, and perhaps most important: simple. The same can be said about web design. There has been a gravitational pull towards simpler and direct designs. This is directly correlated to the expectation of a user-friendly mobile experience. It is important that your website is sleek, professional, easy to navigate, and optimized for all screen sizes. There has also been a shift in the way we receive our information on the internet. According to this article from Business Insider, "In 2014, social media eclipsed search engines as the biggest driver of referral traffic for publishers." Since Facebook, Twitter, Pinterest, etc. are formatted to work on mobile devices, sharing content is easier than it ever has been. Make sure your website provides ways for users to spread your information; social share is key in driving traffic. There are two options for getting your website optimized for mobile. Option one is to create a mobile site, and option two is to create a responsive site. A mobile site is a separate entity from your actual website with a new design, new layout, and new functionality. These mobile sites can be generated using a third party website and require little to no knowledge of code. However, the designs are very limited in their functionality and may not reflect the full extent of your content on the desktop version. You also risk having your design looking very similar to hundreds of other websites using the same third party services. A responsive site is your exact website that adjusts depending on the device it's being viewed on. You are not limited in the design or options arenas, and you can design for devices of all sizes (computer, phone, tablets, etc). The elements are reorganized on the page depending on the screen size on which it is being viewed. The branding and elements will stay mostly the same, but it will be arranged in a way that looks great and is easy to digest on any device. Responsiveness requires a bit more work, as it needs additional coding and rules that govern the display on different devices. However, the outcome is much more professional and provides better user experience overall. The key takeaway from all of this is to make an investment into building your website responsively to appeal to a vast majority of people. If most people are using their mobile devices to view and share content, it only makes sense to create great user experience for these users. 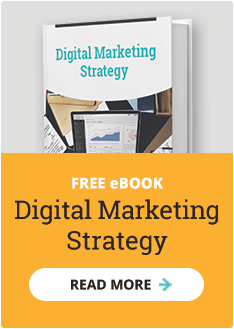 This will not only increase your conversions, but it will also delight these users into becoming promoters of your content and encourage them to visit your site over and over again.